What is a Primary Caregiver? / What is a Primary Caregiver? At some point, most people find themselves taking care of someone else, whether that be a child, elderly parent, or an ill partner. Whether it happens suddenly and unexpectedly or gradually, these people have become primary caregivers. In this post, we’ll go over what exactly a primary caregiver is, their duties, as well as some challenges they face. A primary caregiver is someone who’s faced with the duty of taking care of a friend or loved one who is no longer able to care for themselves. Primary caregivers may be caring for children, a senior, a spouse with a terminal illness, or any friend or family member who requires assistance with daily activities. 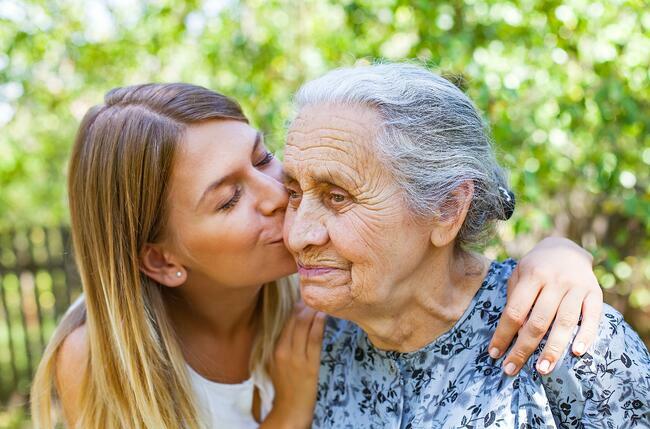 You don’t have to be a professional to be a primary caregiver. Aging parents often cause a role reversal, where adult children end up taking care of their senior parents. Spouses can also become the primary caregiver when one partner becomes ill, either temporarily or on a long-term basis. This often happens in cases of Alzheimer’s. Then there are formal caregivers, who are paid to provide care in a care setting or at home. These individuals are usually not the primary caregiver, but there are some situations in which they are. Being a primary caregiver is no easy task. There’s a lot of work that goes into caring for a loved one, so much so that many people end up hiring outside help. But it can help to go into the job knowing what to expect. Here’s a list of tasks commonly performed by primary caregivers. Helping with personal care. If the care recipient is unable to do so themselves, primary caregivers may need to assist with bathing, grooming, toileting, exercise, and other tasks. Food prep. Shopping for and preparing meals are other main responsibilities that primary caregivers often manage. Assisting with errands, such as dropping off mail at the post office or picking up prescriptions from the pharmacy, is a common task handled by family caregivers. In some cases, primary caregivers provide transportation when their care recipient is unable to drive or needs assistance using public transportation. General care. Primary caregivers help to ensure their loved one is taking their medications, getting to all of their appointments, and keeping in touch with their doctors. Emotional support. Primary caregivers lend a shoulder to cry on and a listening ear to those they care for. For care recipients, a primary caregiver is someone they can rely on for matters pertaining to their care as well as personal and emotional issues. For care recipients who have mobility challenges, primary caregivers help them get in and out of their wheelchair, into the shower, and navigating in and around the home. Health monitoring. Keeping track of all of their vitals, noting changes in their health, and reporting differences to healthcare providers is an important task that primary caregivers manage. A huge source of stress, making financial decisions for someone else can be very challenging. Primary caregivers, particularly those who are spouses or adult children of aging parents, are often tasked with managing finances for their loved ones. The specific responsibilities for a primary caregiver may vary depending on their care recipient’s health conditions and abilities. Taking care of someone with Alzheimer’s requires a different set of skills and often needs special training and professional assistance. Likewise, someone in the early stages of Alzheimer’s disease will require less hands-on care than someone in the later stages of the disease. In these cases, a primary caregiver’s role becomes more encompassing as the disease progresses. Being a caregiver isn’t easy, no matter who you are. You’re put in a position where you have to drastically change your lifestyle to care for someone else. More than 75 percent of caregivers say it affects their family lives, and over 50 percent say it affects their careers. Health issues. Many caregivers focus all of their attention on their loved one, often at the detriment of their own health. Caregivers often experience symptoms of depression, anxiety, and physical symptoms like headaches due to self-neglect. Taking care of someone else can be very stressful. Juggling tasks like administering medications, preparing meals, and assisting with daily needs can lead you to forget to take care of yourself. This can all lead to burnout, which can have both emotional and physical effects on caregivers. Dealing with finances. The financial burden of being a primary caregiver can’t be overlooked. They are often faced with limited income, often due to having to cut back on work hours to meet their loved one’s care needs. This is exacerbated when your loved one is ill and has medical bills, which adds to the out-of-pocket costs associated with caregiving. A lot of time is spent caretaking, and caregivers often don’t feel like they have enough time to take care of themselves. They turn their friends away and refuse to go out and socialize, often because they feel guilty about leaving their care recipient in someone else’s care while they take a much-needed break. Loneliness and isolation can take a toll on a caregiver’s physical and emotional health. Career and educational opportunities. Caregivers often turn away career and educational opportunities to focus on taking care of their loved one. While these challenges are very real, there are always things you can do to lessen the burden of being a primary caregiver. Don’t be afraid to ask for help when you need it and keep the lines of communication open between you and your loved one. After all, you are a team. There are also countless systems in place to assist caregivers, especially those taking care of ill patients. Your loved one’s doctor can often point you in the right direction. More cost effective. Hiring outside help can be quite expensive, making the financial burden that much harder to deal with. Being the primary caregiver eliminates that cost. The patient gets to stay in their own homes. This is a huge bonus, as many seniors prefer to stay at home and maintain a sense of independence. Caregivers may feel fulfilled and satisfied that they can do something to help their loved one. Know that all of the work you put in as a caregiver is well appreciated by your loved one. As long as you remember to take care of yourself in the process, being a primary caregiver can be a rewarding and fulfilling role.